Can sewing be an Olympic sport? Wow, what an amazing week it has been at the Olympics! Everyone is doing well, and I have to say I am blown away by the dedication and commitment of these athletes! Best personality of the games so far has to be Bert le Clos, father of South African Chad le Clos who had the US Olympic swimming legend, Michael Phelps on the back foot. Not much sewing has been done, I must be honest, and the fabric piles are not going quietly. I dug these two pieces out of the cupboard over the weekend, and they are my next task. This stuff is quite cool. 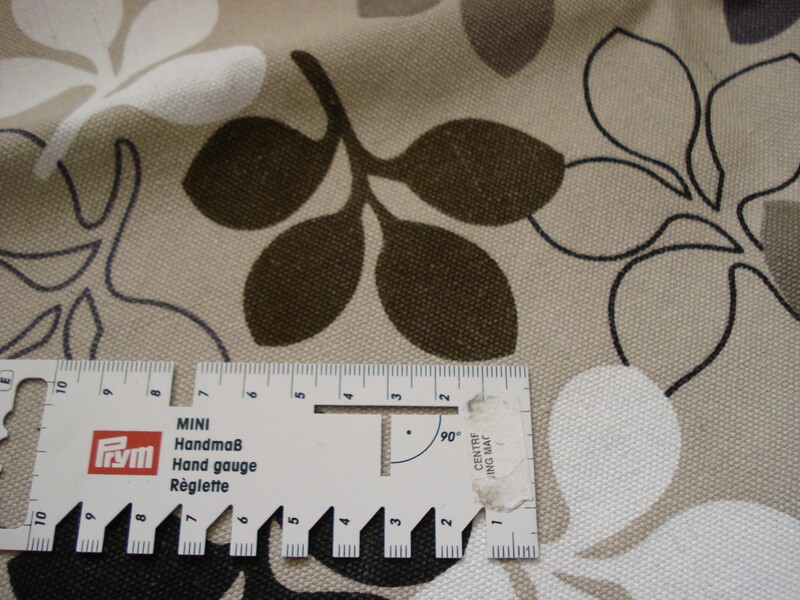 I got it in Derby in May, intending to make cushions or something, but I just couldn’t cut it up into little squares. I’ve sort of decided to make a jacket with it for the Autumn. I’m picturing a hip-length jacket with jetted pockets and maybe a pleat detail at the back. One thing that is definitely going to happen is the crater sleeve from Pattern Magic 1! I have been waiting a while to do that sleeve, and I’m feeling it for this fabric. I will get cracking on some sketches first, to get a better feel for what I have in my mind. I also think I might use a sidebody this time, to see how different the fit is. 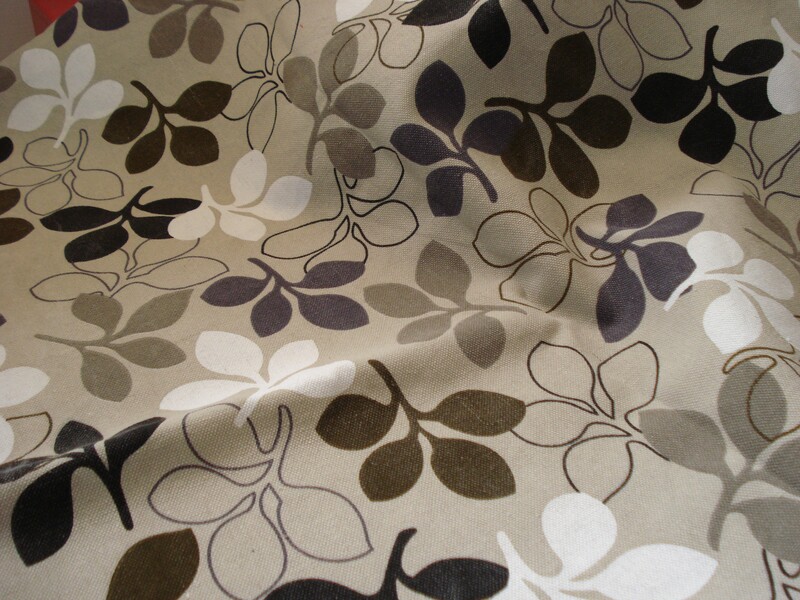 Leaf print – perfect for Autumn! 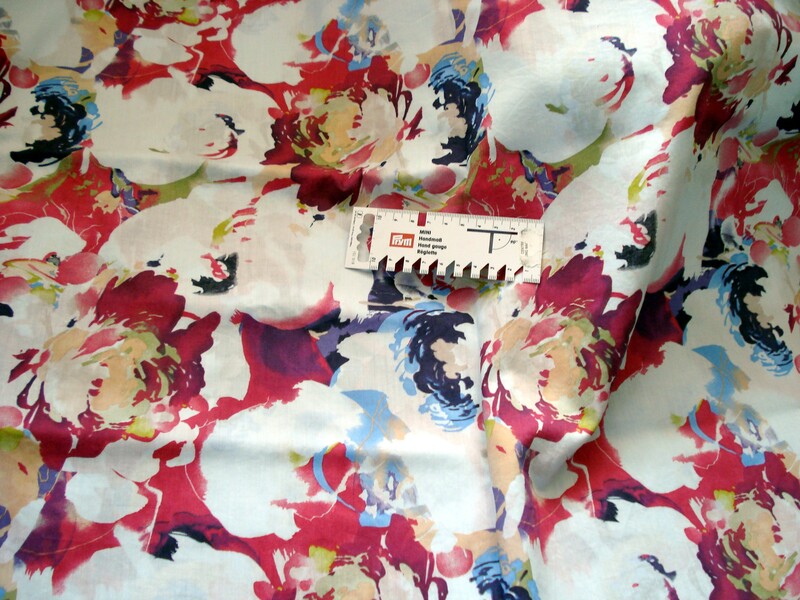 The other fabric is this gorgeous Liberty tana lawn. One of my students had some from Fred Winter in Stratford on Avon a couple of months ago and taunted me with a picture of it on twitter. Did I have the commitment to resist? Did I, like hell! The first opportunity I got I was off to Freds for my own little bit. They only had 2m left, so naturally I got the lot! Big “blousey” flowers, love it! Now, I didn’t think this was really me, until I brought it home. I love it! Carolyn made a blouse from several patterns that has turned out pretty great, I love her collar and the roll-up sleeve with tab. I tend to roll my long sleeve shirts, even in the winter, or wear 3/4 length. Problem with 3/4 length is that they end up under your armpit when you put on jumpers and jackets! I won’t be making this as billowy as Carolyn’s, I’d prefer it to be a bit more fitted. So that’s the fabric sorted, now to make the patterns! Watch this space, but don’t hold your breath too long, we still have another week of amazing sport to watch! Maybe if sewing was included, I might get more done!!! I really like the idea of a jacket with the leaf print fabric. Way better than cushions and you can wear so many colour combos with it I think. Very autumnal too really. Blousy blousy liberty will be gorgeous …. What lovely sewing plans. Hey look the olympics have fininshed … you sew girl! Previous Previous post: Birthday presents!